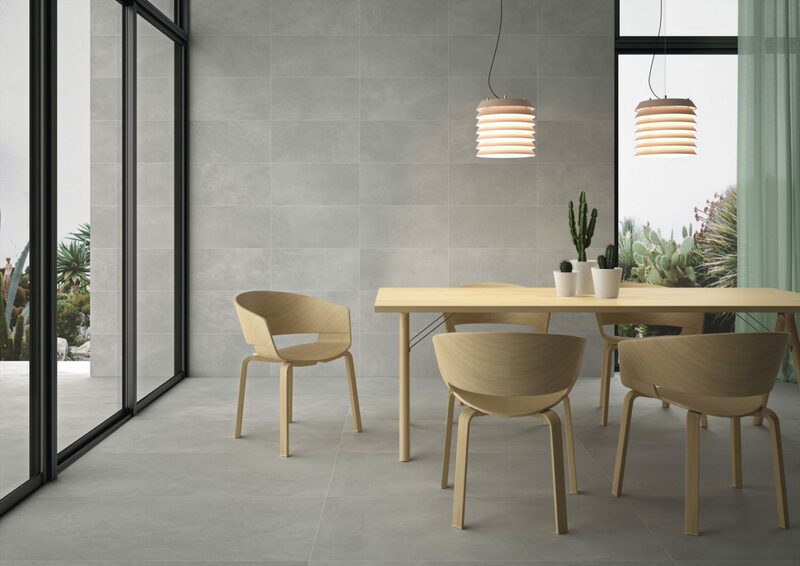 Our Concrete range offers great value for money for a porcelain tile in two size formats, with a simple and timeless concrete effect it looks good whatever the setting. Two modern colours are available in three different finishes, this high tech porcelain tile brings a minimalist timeless appeal to both residential projects and places subject to more frequent use. There is a ‘soft’ interior finish, a stunning anti-slip lappato finish for interiors and exteriors and an exterior mat anti-slip finish giving different options for that inside out look. These tiles are are rectified porcelain and suitable for use on walls or floors.